WE OFFER LEGAL ASSISTANCE AND ADVISE ON CASES OF ACCIDENTS: - Communications (car, bicycle, pedestrian crossing) - At Work - In a Public Place: on the sidewalk, in the store, at school, at the pool ... - We help to deal with matters related to insurance and policy on behalf of the client - We tow vehicles from the accident scene - Arrange replacement vehicles - We provide translators at medical commissions 7 REASONS WHY YOU SHOULD APPLY FOR COMPENSATION FROM THE POLISH COMPENSATION CENTER: 1) We are 100% Polish company 2) We run your case from the beginning until the end on the NO-WIN NO-FEE 3 basis) You will receive your compensation and a replacement vehicle without paying extra! 4) We translate documents so that you have full control over the case 5) Lawyers with many years of experience in the profession 6) Comprehensive and professional service in Polish (during the commission as well) 7) The minimum duration of the compensation process (our goal is max. 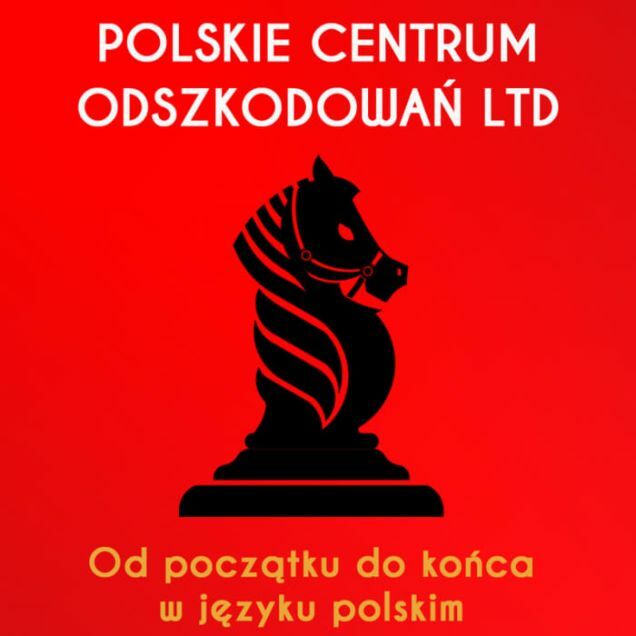 3 months) To start the process or find out more, call: ******* Office: 0208 998 3076 ********* ******* Hotline: 0800 292 2912 *** ****** ******* Emergency: 07951727797 ******* www.PolskieCentrumOdszkodowan.co.uk www.UKPrestigeClaims.co.uk We deal with compensation in / in cities and more: London - London City, London North, London South, London West, London East, North East, North West, South East, South West, London West Midlands - Birmingham, Wolverhampton, Coventry, Stoke-On-Trent, Burton-Upon-Trent, Sutton Coldfield, Walsall, TelfordEast Midlands - Derby, Nottingham, Leicester, NorthamptonSouth West - Bournemouth, Plymouth, Devon, Bristol, Somerset, Swindon, Gloucester, Poole, CornwallSouth East - Reading, Milton Keynes, Brighton I Hove, Southampton, Portsmouth, Kent, Oxford, Surrey, West SussexWales - Cardiff, Newport, Swansea. East Of England - Peterborough, Cambridge, Norfolk, Suffolk, Luton, Bedfordshire, Hertfordshire, Essex, Southend-On-Sea, Thurrock. North West - Cheshire, Warrington, Cumbria, Manchester, Lancashire, Blackpool, Liverpool, Wirral, St Helens.